Super delayed post because i've been caught up with all the other eating and just got reminded by this post sitting in my draft box! 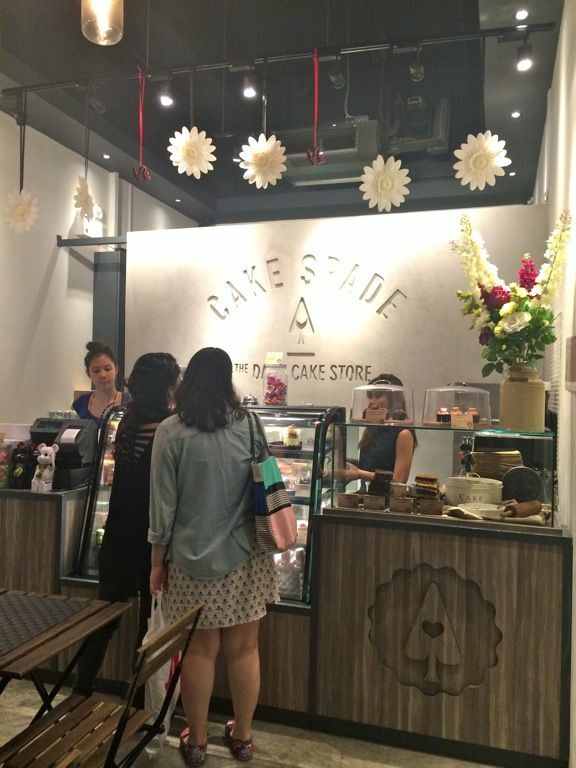 So here the delicious Cake Spade which you guys probably all know about already but nevertheless worth a mention because their cakes are so yummeh! I've been meaning to give them a try for the longest time but every time it comes to my mind, they're usually closed. So i was determined to buy some back when i passed by, even though i had no cake craving whatsoever. 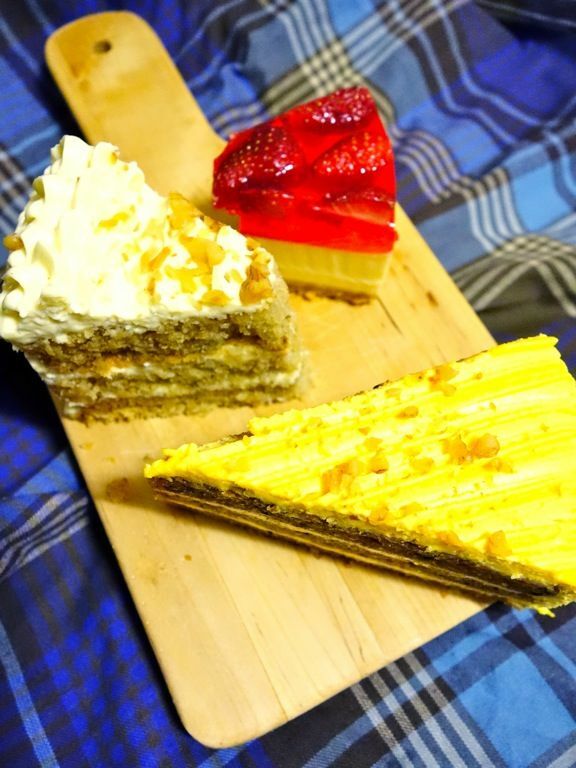 The 3 flavors featured here are (from top to bottom), the Strawberry Tofu Cheesecake, The Hummingbird and the Spiced Carrot Cake. On the much raved about Strawberry Tofu Cheesecake ($5.90), i'd say it's just the regular strawberry hearts from the traditional bakeries. There was a nice graham base but the rest of the cake (could i call it that?) was very gelatinous (think Jell-O consistency). And that imo is not a good thing unless you're 5. 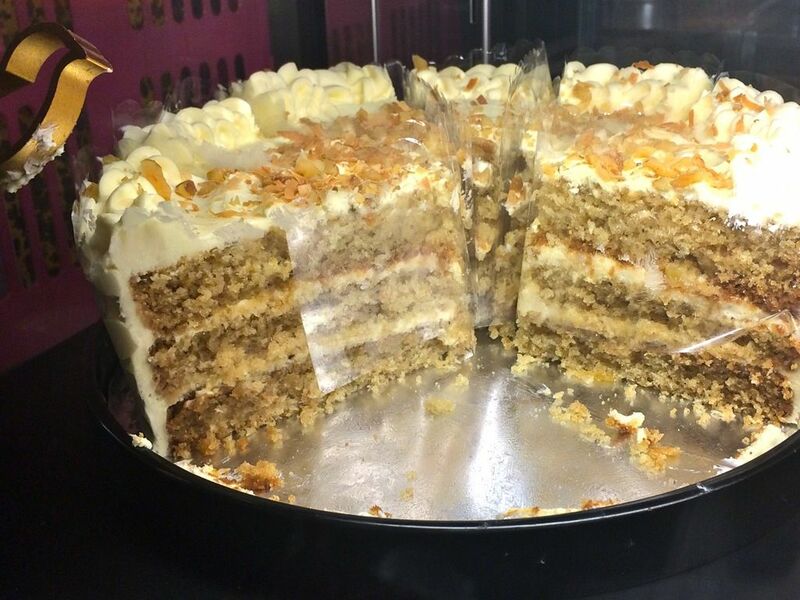 I was surprised by the Hummingbird Cake ($5.90) because i didn't expect to like it so much. It's a banana cake with pineapples and coconut. It may sound really heavy but it wasn't. In fact, it was a moist and light cake with a tinge of banana and a trace of pineapple. The coconut was simply the icing on top. I liked the Spiced Carrot Cake too but not everyone would take to this really dense and flavor packed cake. 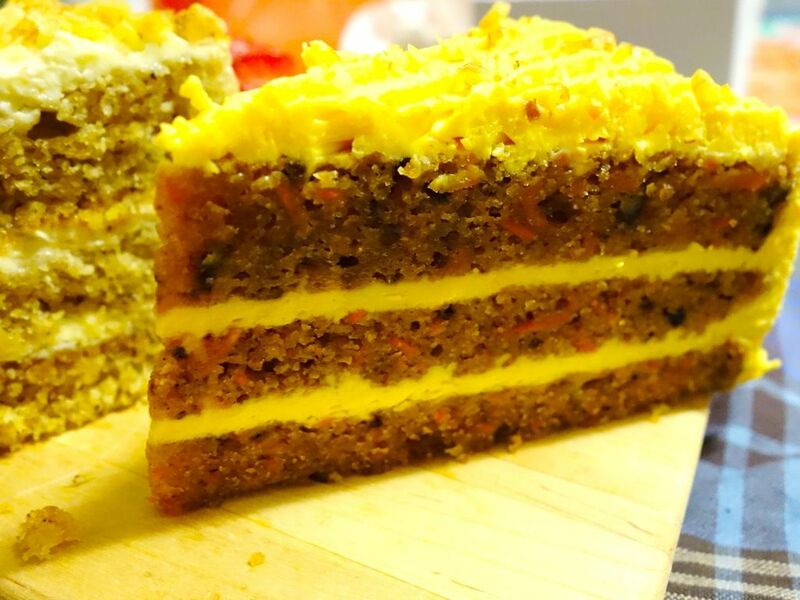 Chunks of carrots with nuts and dense moist cake spiked with cinnamon. This tasted of Fall. Mummy thought it was more like a fruit cake though. The layers of vanilla cream cheese made this cake even more so addictive. Yums! While the cakes did a great job, the brownies were just bleargh. The Oreo Cookie Brownie ($3.20) was really oily and bland. The brown paper bag that carried the brownie was soaked in no time and if you squeeze the slice a bit, you can see the oil oozing out. I only tasted sugar and fats in this one and the chocolate was sorely missing. Cake Spade is really small so it quite made sense for takeaways. To locate it, well, it's around the corner from the famous Keisuke Ramen (read review here) shop at Orchid Hotel. Cakes are sold by the whole too and are priced $52 onwards. Tarts are also available ($4.20) and they have a small selection of coffee and tea should you choose to dine in.